Delia defended his association with the amateur actress and make-up artist Rebecca Dimech by saying that she is a “family friend”. Really? Maybe he thinks that most people are right out of the loop and won’t think that’s even worse. 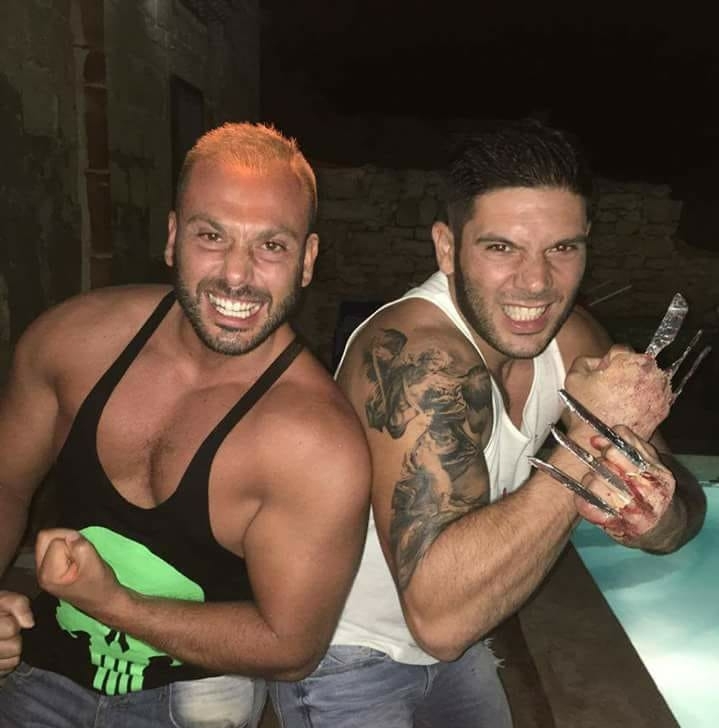 Miss Dimech’s long-term boyfriend, Andre Falzon, known to the police and the criminal underworld as Id-Diesel, is a convict who got out of prison only last June, and who has been dealing drugs, by his own admission to police, since he was 15. Falzon isn’t too happy with me. 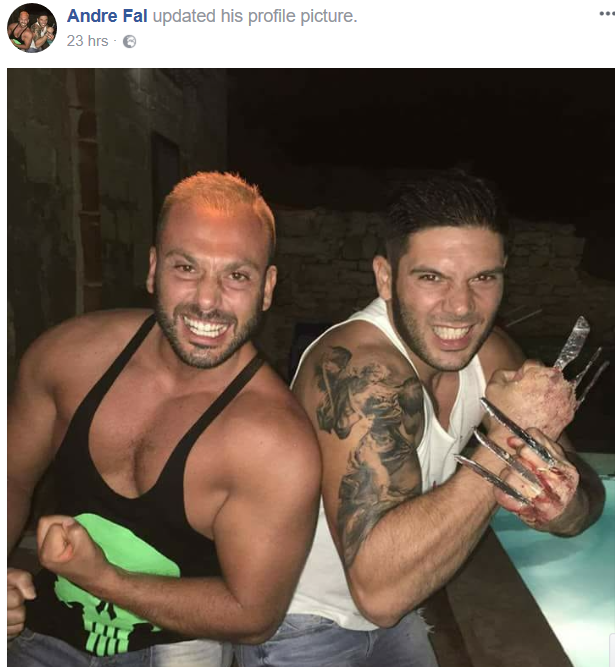 Shortly after I published this post last night, he changed his Facebook profile picture to a very fetching depiction of himself as Slasher/Wolverine, accompanied by an equally nasty-looking friend. And then, today, he changed his Facebook cover picture showing me in a cage. 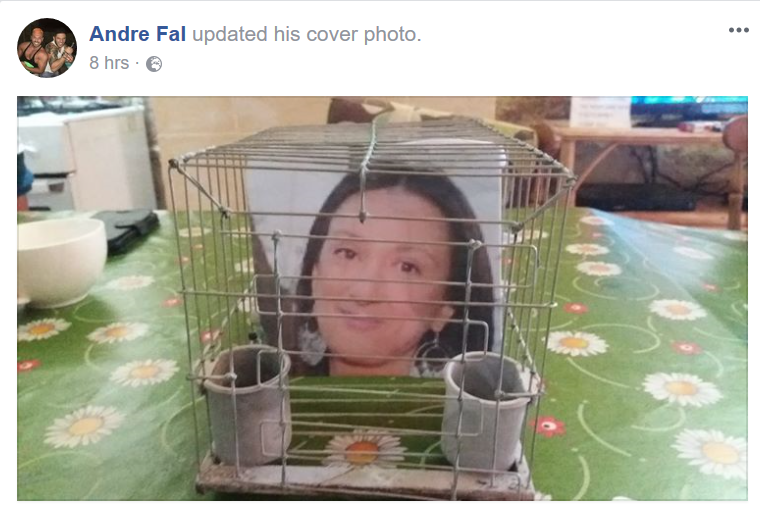 At first I thought that was meant to be the standard insult of my face lining his budgie cage, until it clicked that there’s no bird in that cage and my face is upright and not lining the bottom. 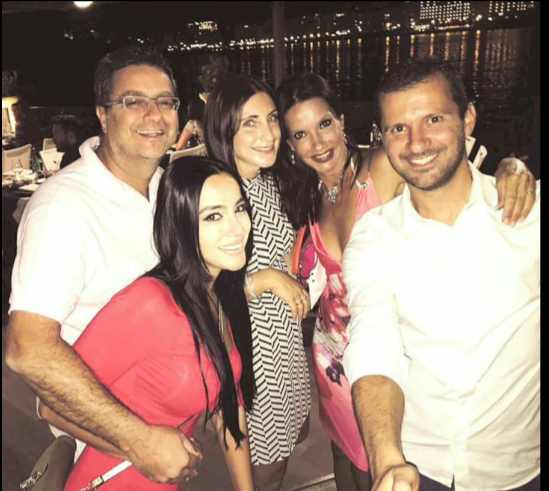 These are Adrian Delia’s “family friends”. Please don’t ask any pointed questions about why the leader of the Nationalist Party would need a convicted and habitual drug-dealer as a family friend. He might get all upset again. 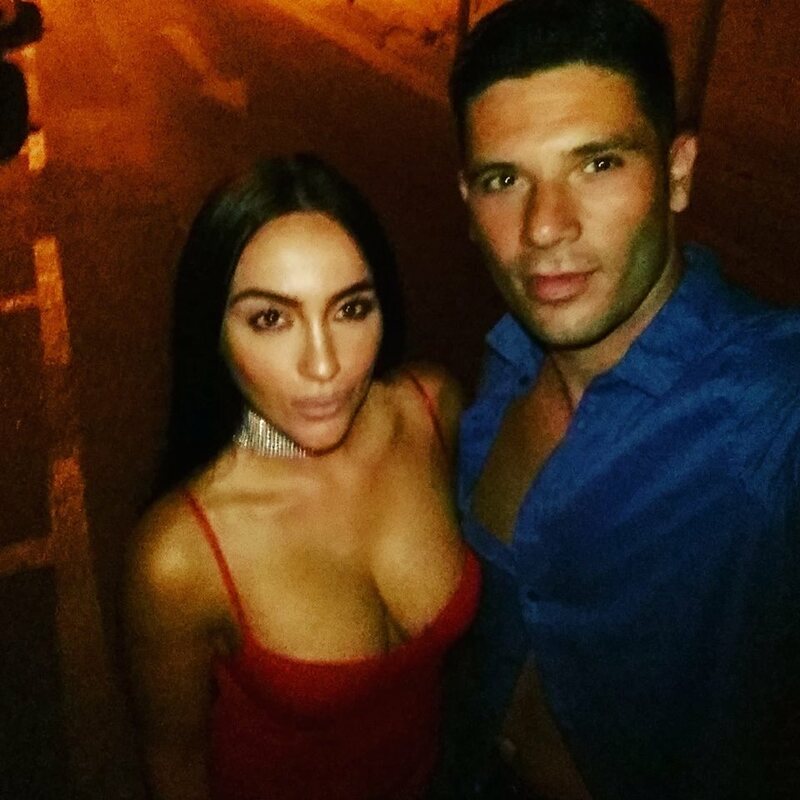 Rebecca Dimech with her long-term boyfriend, convicted and habitual drug-dealer Andre Falzon aka Id-Diesel, who was released from prison last June. Andre Falzon, on right – a convicted drug dealer and “family friend” of the Nationalist Party leader and his wife.